India’s top court ordered a temporary ban on the sale of firecrackers in New Delhi on Monday, ahead of the Diwali festival that leaves the city shrouded in toxic smog. The decision comes a little over a week before Diwali—the Hindu festival of lights—when Delhi fills with acrid smoke from celebratory firecrackers set off day and night. The onset of winter usually worsens the situation as cooler temperatures trap the pollutants, exacerbated by crop burning in neighbouring states. 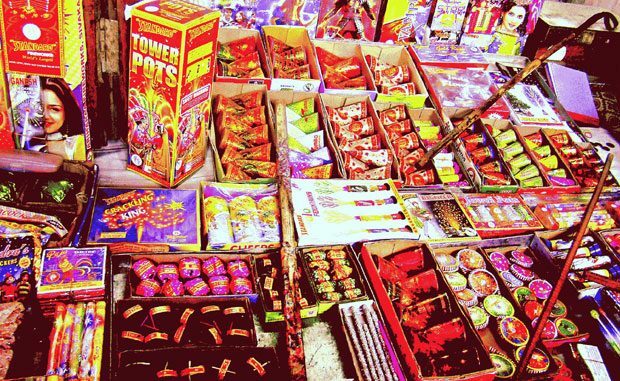 Acting on a petition, the Supreme Court directed that all licences to sell firecrackers in New Delhi and neighbouring cities be suspended until October 31. “The court has made it clear that all licences stand banned forthwith,” Haripriya Padmanabhan, one of the petitioners, told NDTV news network after the order. The court reportedly said it wanted to assess whether the ban would make a difference to Delhi’s pollution levels. India’s notoriously poor air quality causes over one million premature deaths every year, according to a joint report by two US-based health research institutes earlier this year. On Monday afternoon, the US embassy showed the concentration of PM2.5—the fine particles linked to higher rates of chronic bronchitis, lung cancer and heart disease—at an “unhealthy” level. Delhi traders said the order was a violation of their right to conduct business and would lead to “huge losses”. “(The) possibility of people buying crackers from other states and bursting them in Delhi NCR (national capital region) cannot be ruled out,” the Confederation of All India Traders said in a statement. The top court had imposed a similar ban last November when Delhi’s air quality reached “hazardous” levels after Diwali, forcing schools to shut and a temporary ban on construction. At the time the court had said that a complete ban would be an “extreme step”. “I guess those people will end up bursting them, so it’s not a 100 percent victory,” Padmanabhan said. India’s environment ministry launched a pollution-free Diwali campaign in August, urging families to light traditional oil-and-wick earthen lamps. Similar anti-firecracker drives in the past, have, however, been largely unsuccessful.